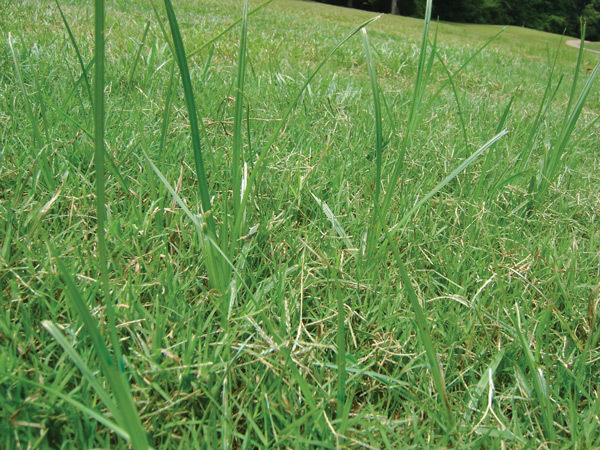 Lawn care operators can identify yellow nutsedge by its wide leaves with straight edges that abruptly come to a point. Photo: PBI-Gordon Corp.
Yellow and purple nutsedge are grasslike weeds in the sedge family. 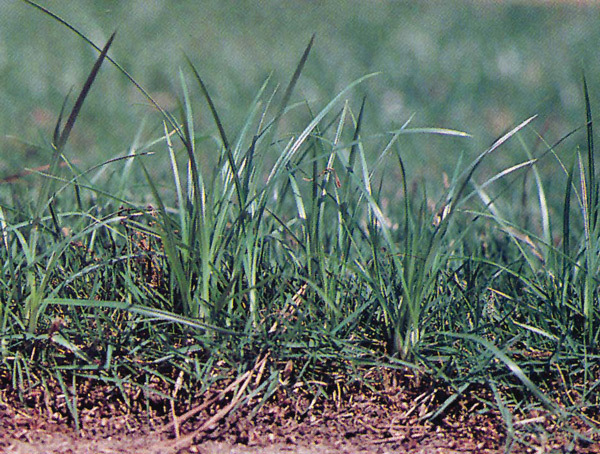 If left uncontrolled, nutsedge can spread and return year after year. Here are some tips to identify the yellow and purple varieties of the weed and keep your turf sedge-free. Can grow anywhere, but particularly thrives in southeastern climates due to wetter soils and warmer temperatures. Sprouts single tuber growths (called nutlets) below ground. Purple nutsedge tubers grow in chains underground. For this reason, it’s typically harder to control than yellow nutsedge. Purple nutsedge features narrow leaves and can be more difficult to control than yellow nutsedge. 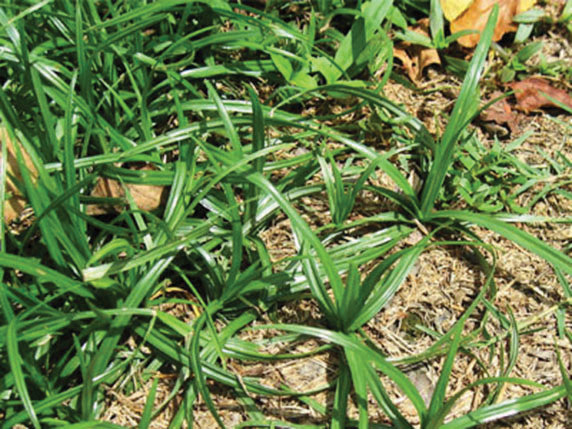 Photo: PBI-Gordon Corp.
Generally, purple nutsedge in particular will need repeat applications of a postemergent — at least two for acceptable control. Sources: Tina Bond, Ph.D., herbicide/fungicide technical service, FMC; and Eric Reasor, Ph.D., southeast research scientist, PBI-Gordon.